Salts can take on either hydrated or anhydrous forms. Hydrated salts are salt compounds that include water molecules in their crystal structure. Many salts are found in hydrated form and maintain a solid crystalline state. The hydration of salt crystals is known as the water of crystallization, where water is often required for the crystal formation of the salt. Common types of hydrated salts include magnesium salts such as Epsom salt and gypsum which is abundantly used in construction materials. Anhydrous salts are salts that do not contain water molecules within their crystal structure. Salts that take on an anhydrous form are usually found in powder form. American Elements specializes in manufacturing ultra dry and anhydrous compounds for oxygen and moisture sensitive applications. Ultra Dry Materials are produced at high purities and packaged under argon to ensure oxygen and water impurities are minimized. Purities may include 99%, 99.9%, 99.99%, 99.999% and 99.9999%, which are sometimes referred to as 2N, 3N, 4N, 5N and 6N. 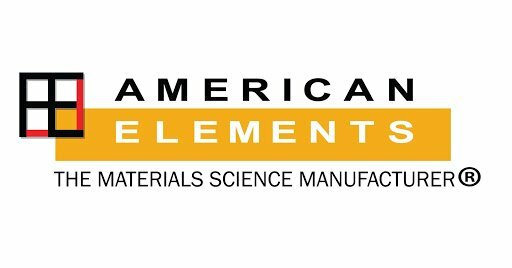 American Elements maintains industrial scale production for all its Ultra Dry products. Some salt compounds are soluble in water and form aqueous ionic solutions. The most common salt solution is brine formed from sodium chloride solution in water. Other common ionic salt solutions contain salts of potassium, calcium, or magnesium. Salts are ionic compounds composed of cations and anions in appropriate proportions to produce electrically neutral species. Salts are named by cation species first followed by anion species. Examples of common salts include sodium chloride, sodium bisulfate, calcium chloride and potassium dichromate. Halides are compounds in which a halogen atom (fluorine, chlorine, bromine, iodine) acts as the anionic species bound to a cationic species. Metal halides are typically used for lighting, photographic films and other applications depending on the specific compound. Fluorides are used in toothpastes, as a food additive, in optical materials, and in biological applications as a phosphatase inhibitor. Chlorides are frequently used in electrolysis and desalination. Bromides are found in veterinary medicine and diagnostics. Iodides are added to table salt as a supplement. Many metal halides serve as important precursor materials in thin film deposition and, more recently, in the formation of perovskite solar cells. Oxyanions are polyatomic anions which incorporate oxygen and can be formed by a majority of elements. Common oxyanion compounds include borates, bromates, bromides, carbonates, chlorates, chlorites, phosphates, nitrates, silicates, and sulfates. Oxyanions are named by the oxidation state of the central oxygen-bound atom. Examples of oxyanions include phosphate compounds which are found abundantly in biological systems as energy storage compounds, ATP and ADP, nitrate compounds which are used in fertilizers and as oxidizing agents, and carbonates found in biological systems to function as a pH buffer. Salts are found in numerous products and processes including batteries, metallurgy, renewable energy, chemical synthesis, industrial processes and biomaterials. Batteries and fuel cells typically use salts as electrolytes allowing ions to move from one electrode to another. For example salt water electrolytes are used in both fuel cells and batteries enabling the flow of current between electrodes. Another area of active research and application of salts includes using molten salts in extractive metallurgy, thermal storage, heat treatments and metal surface modification. In extractive metallurgy, one commonly used technique is to convert metals into soluble or molten salts. Steel annealing heat treatments typically make use of molten chloride salts and fluoride salts are used in the product of aluminum. In addition, metal salts are used to produce the brilliant colors of fireworks. A wide variety of industrial applications exist for inorganic salts including pulp and paper manufacturing, agricultural fertilizers and pesticides, and glass colorants or pigments. Metal salts are also frequently used as semiconductor dopants to produce select conductivity requirements.